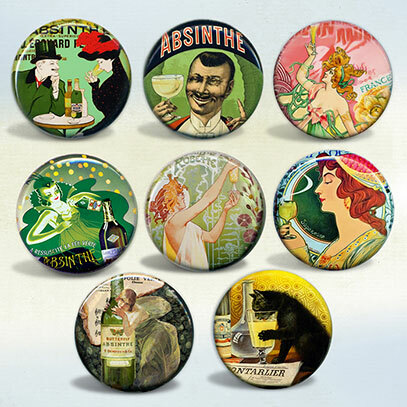 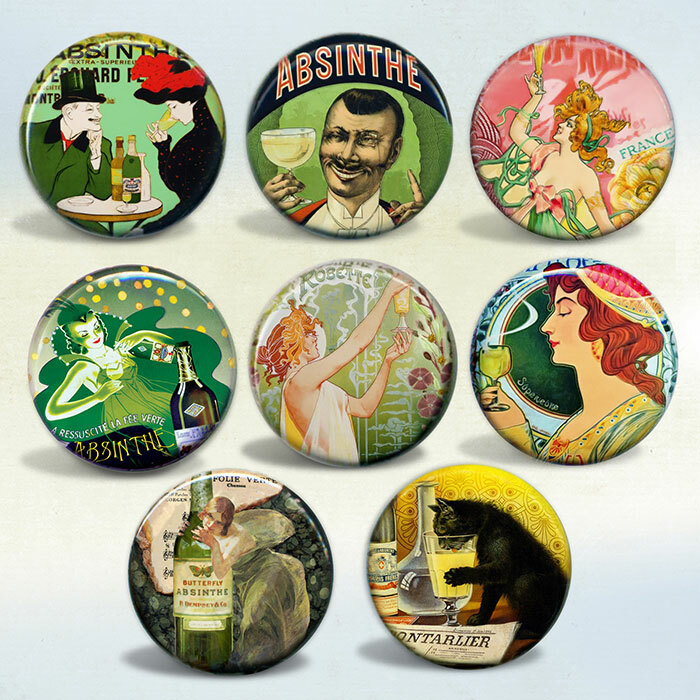 Vintage illustrations, collages of mine as well as stunning advertising artworks of Absinthe are featured in this set of eight beautiful and collectible 1" magnets or badges. Set of 8 magnets and buttons packed ready for gift giving as shown. 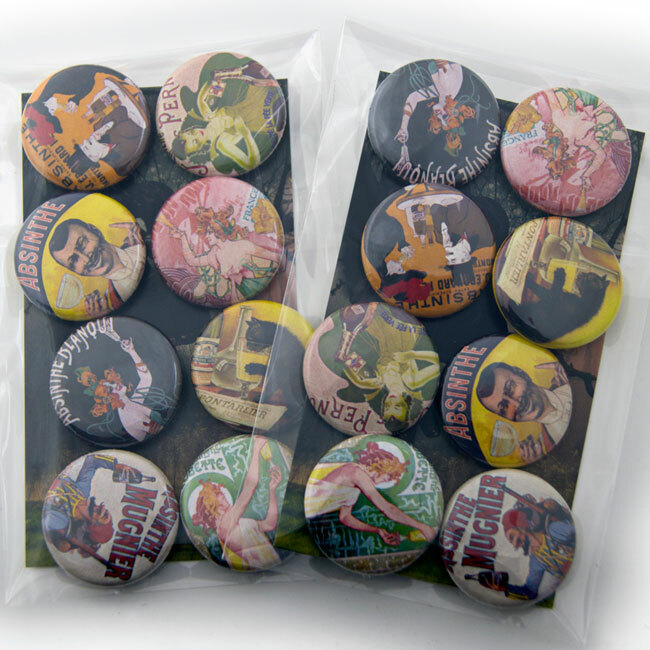 1" metal magnets and buttons have a clear protective mylar cover.